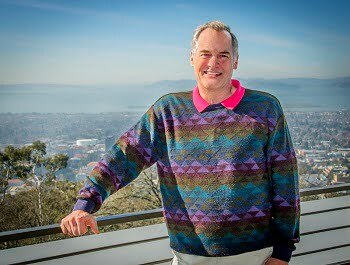 BERKELEY, Calif., July 6, 2018 — Stephen Kevan has been named the new director of the Advanced Light Source (ALS) at the U.S. Department of Energy’s Lawrence Berkeley National Laboratory (Berkeley Lab). The ALS produces extremely bright x-ray, IR, and extreme UV light for more than 2,000 visiting scientists each year. Up to 40 experiments can be performed simultaneously using the synchrotron, resulting in nearly 1000 peer-reviewed scientific articles each year across a range of fields, from chemistry and materials sciences to biology and environmental sciences. The facility draws on Berkeley Lab’s unique and long-standing expertise in designing, building, and operating world-class accelerators to advance scientific research. Kevan, a condensed matter physicist, has served as ALS director in an interim capacity since January, when the preceding director, Roger Falcone, stepped down after more than 11 years in the role. Previously, Kevan was the ALS division deputy for science for more than five years and has been on the faculty of the University of Oregon’s physics department since 1986. The project is led by Berkeley Lab senior scientist Dave Robin and will take advantage of state-of-the-art technologies to endow the ALS with “soft” x-ray light more than 100 times brighter than the facility offers today, opening the door to new realms of scientific study and keeping the ALS’s world-leading capabilities. Kevan played a principal role in developing the science case for upgrading the facility and, as ALS director, will coordinate closely with the planned ALS-U team throughout the project to ensure its success. Kevan earned his Ph.D. in physical chemistry from the University of California, Berkeley in 1980 and received his bachelor’s degree in chemistry from Wesleyan University in 1976. After serving as a technical staff member of AT&T Bell Laboratories for six years, he joined the physics department at the University of Oregon in 1986 and the ALS in 2012.